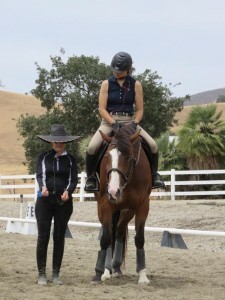 Getting ready to embark on an orchard trail ride. 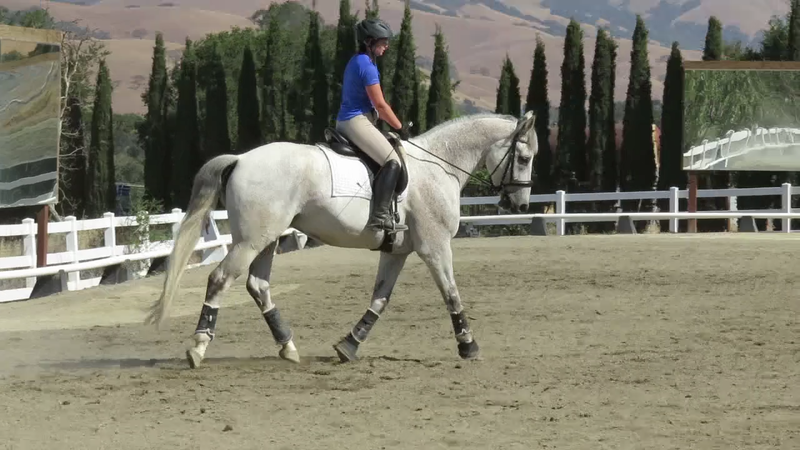 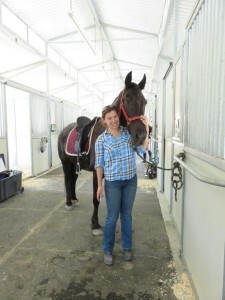 This year’s HC Equestrian camp deviated from the usual eventing format to focus on dressage. 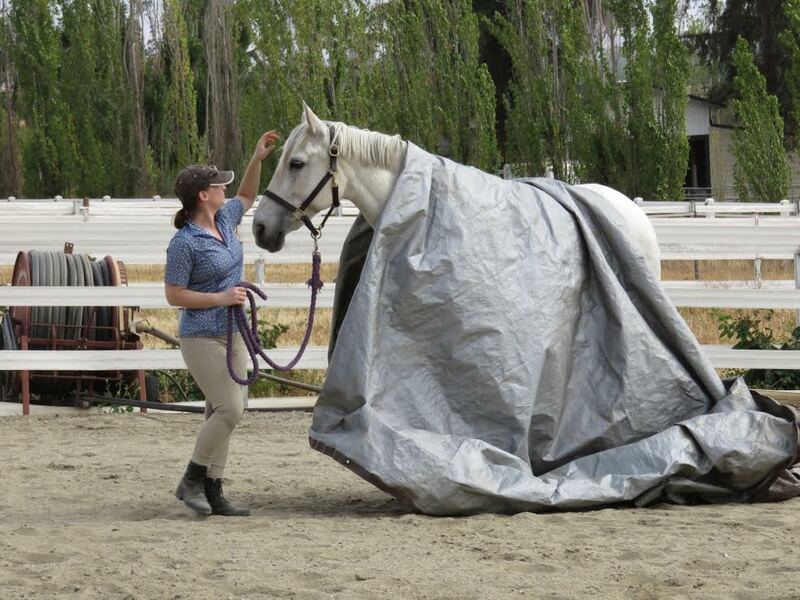 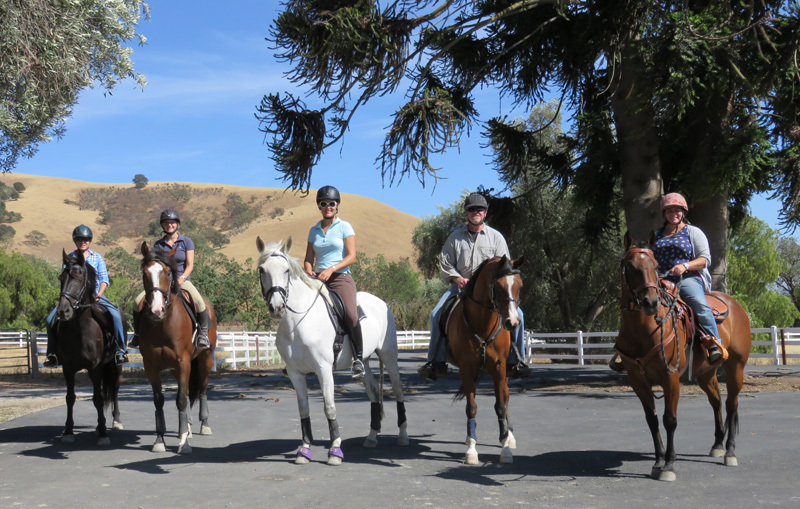 The Monkey Tail Ranch in Hollister graciously hosted our campers for 3 days of riding, including private lessons with Ellen Eckstein, obstacle course training, trail rides, and an introduction to equine bodywork. 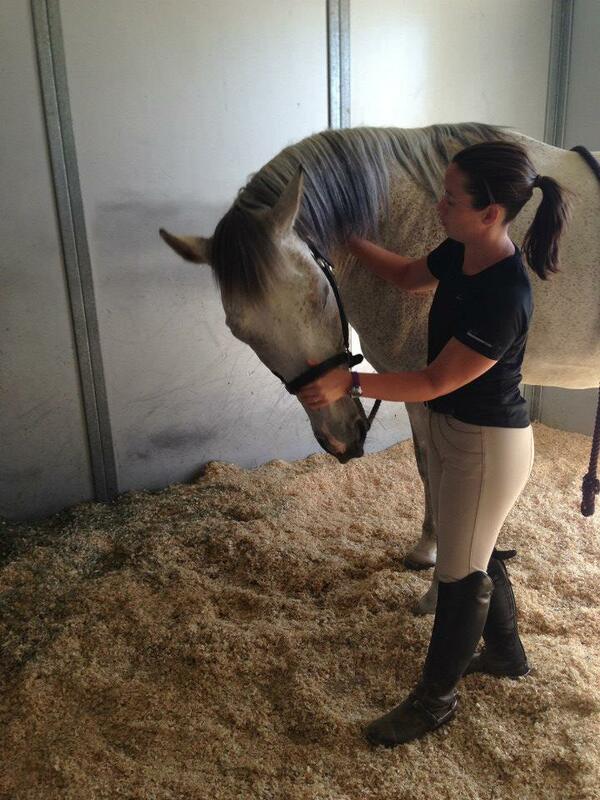 Carla and Feety practice lateral cervical flexion. Campers also were able to enjoy puppy socialization with Monkey Tail’s young service dog hopefuls. 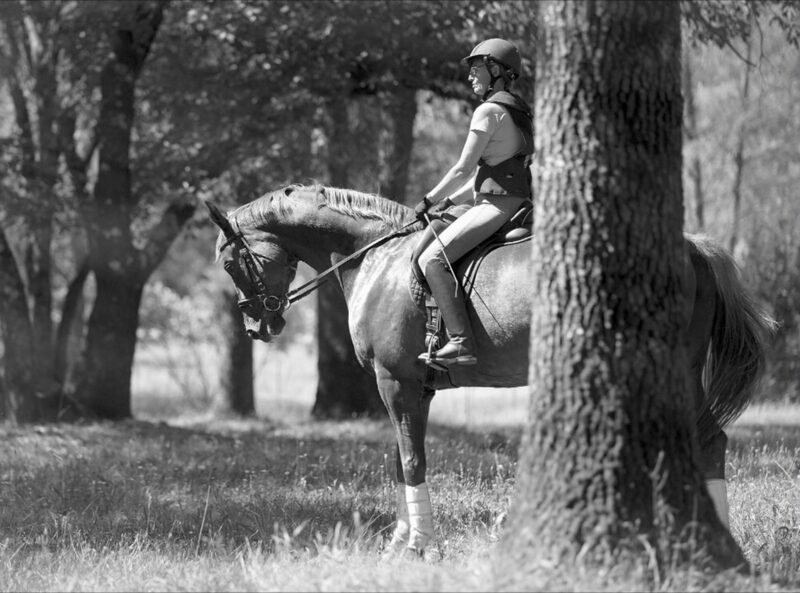 A continental breakfast was provided each morning, and teams of campers worked together in the kitchen to provide some scrumptious home-cooked meals.